How Domestic is Gross Domestic Product? Home » BLOG » How Domestic is Gross Domestic Product? Gross Domestic Product (GDP) is surely the most fundamental and important concept in empirical and applied macroeconomics, yet significant uncertainty still surrounds its estimation (Aruoba, 2011). There have been different arguments about how GDP is a flawed measure of economic activity and growth. One criticism is that GDP does not give an accurate measure of the value of goods and services created in an economy over a given period of time.Those who hold this opinion argue that GDP only captures marketed economic activities and ignores non-marketed ones, thereby failing to sufficiently capture the full extent of an economy’s production boundary. The most common example used to illustrate this point is that of a man marrying his cook. While a cook gets paid for the culinary services she renders, contributing to GDP in the process, a wife does not, even though she renders the same services. GDP therefore falls when a man marries his cook, even though economic value has not reduced (Pigou, 1932). Theoretical deficiencies are not the only problems that have been associated with GDP. There is also the question of statistical validity. It has been argued that due to the stochastic nature of economic activities, GDP figures are often estimations, and can hardly be determined with the accuracy of laboratory experiments (Jerven, 2011). This is especially true in developing countries, where development statistics are either completely lacking or lousy in quality. Perhaps, a bigger problem is that GDP figures are put to too many purposes for which they may not be a true fit (The Economist, 2016).For instance, a country’s GDP per capita is often used to indicate income, wellbeing and quality of life of the average citizen of that country, even though the metric fails to depict equality of income distribution, environmental externalities and resulting welfare impacts of economic activities (Stiglitz, 2009). These are some of the objections that have been raised against GDP as an indicator of economic activity and growth. This article aims to add a yet unidentified or undiscussed objection to the list. 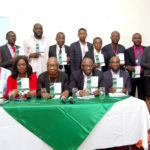 Using the Nigerian economy as a case study, this article challenges the notion that GDP measures only “domestic outputs” in an economy, and argues that an increasing GDP could sometimes mean that a country is helping to grow the output of a foreign economy more than its own economy. As a definition, gross domestic product is the monetary value of all the finished goods and services produced within a country’s borders over a given time period. There are three approaches to estimating GDP. First is the expenditure approach, which adds up consumption by households, investment by businesses, government spending on final goods and services, and net exports (that is, exports minus imports). A second approach is the Income approach which sums up wages, rents, interests and profits obtained by the factors of production employed in an economy. A final approach is the production method which aggregates the value of production in all sectors of activity. When considered from an expenditure perspective, statistics show that household consumption expenditure consistently accounts for the largest share of Nigeria’s GDP (Figure 1). Why is this problematic? Well, it would not be, if this expenditure is predominantly directed at locally made goods. But in a Nigerian economy where majority of the population has a near-constant preference for foreign products, then GDP potentially overstates domestic production. Consider, for example, the importation of a car from Japan to Nigeria. Assume, for the sake of argument, that the CIF of the car from Japan is $5,000, and the place and time value – added by the car trader or dealer in getting the car from the port of arrival in Lagos to the final consumer, say an Abuja-based millionaire – cost another $500. The total value of that consumption expenditure is $5,500. Because GDP is supposed to measures only domestic production, the CIFof $5,000 will rightly be deducted from GDP as imports; but the value added services of $500 will remain captured as consumption expenditure. Thus, ceteris paribus, Nigeria’s Gross Domestic Product will increase by a certain valueas a result ofthe consumption of aproduct that was not produced locally. As this happens for every imported good consumed, the aggregation of the value from this“import-completingtrade activities” add up to make up a proportion of Nigeria’s GDP. Therein lies a major limitation of using GDP to measure a country’s economic activity and growth. GDP considers trade-based value-added services on imported consumer goods to be part of “domestic production”. 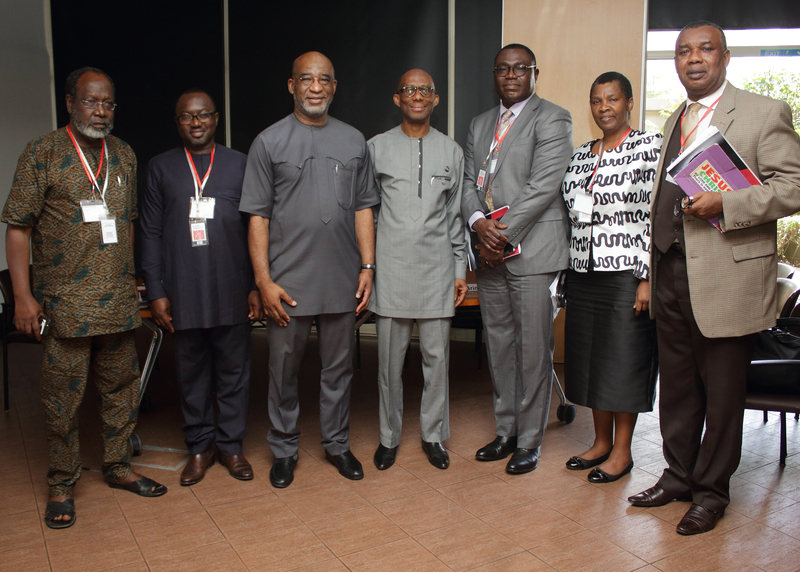 So, if Nigerian continues to consume foreign-made goods, the place and time value added to those goods in the course of trading and merchandising in local markets will add to consumption expenditure, and by extension, GDP. While it is difficult to isolate the proportion of Nigeria’s GDP that import-completing trade constitute, a sectoral breakdown of the country’s GDP suggests that its magnitude is significant.Traditionally, Nigeria’s GDP is broken down into four sectors: Agriculture,manufacturing, mining (production of all Nigeria-made durable and non-durable goods takes place in these three sectors), and services(which consists of various activities including trade of both Nigeria-made and imported goods). 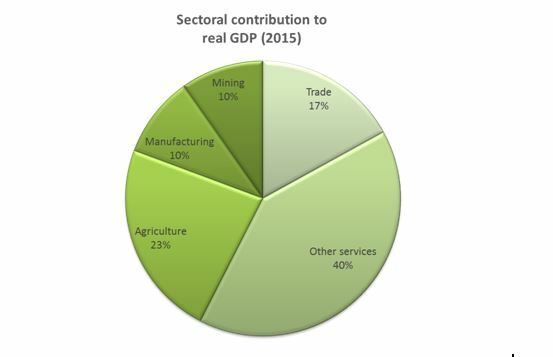 In 2015, trade contributed 17% of real GDP –more than the contributions of each of the manufacturing and mining sectors, and only 6% less that of the entire Agriculture sector (Figure 2). 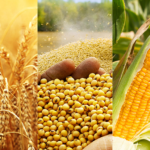 As the economy began to show the first signs of slow growth, the manufacturing and mining sectors contracted by -1.46% and -5.27% respectively, while agriculture grew by 3.72%;collectively, output in all three sectors fell by an average of -1%. On the contrary, the value of trade services grew by an average of 5.14% over the same period (Figure 3).Thus, in 2015, the sectors involved in the production of Nigeria-made goods recorded lower outputs on average, but the value of trading services grew. This strongly suggests that any decline in trade that was caused by lower levels of domestic output was more than compensated for by an increase in import-completing trade. 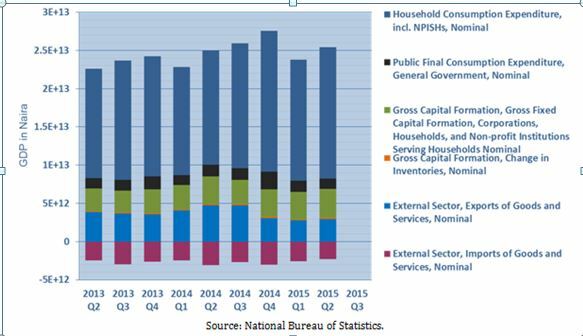 Figure 2: Sectoral contribution to Nigeria’s 2015 real GDP. Although, trade is normally captured as part of services, it has been delineated in this chart to show its magnitude relative to other sectors. Source: National Bureau of Statistics. 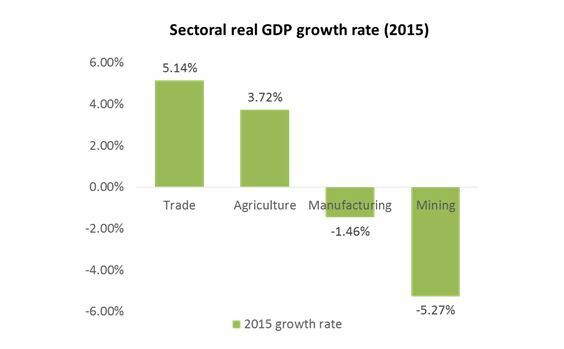 Figure 3: Sectoral Real GDP growth rate in 2015. Source: National Bureau of Statistics. 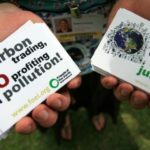 If an activity serves only to complete the consumption of goods produced by a foreign economy, does it still qualify to be regarded as“domestic production”? In the aforementioned example of the importation of a Japanese car, if, for the sake of argument, that transaction was the only one completed in the entire economy in a particular year, will it be accurate to say that Nigeria’s gross domestic product for that year was obtained from the consumption of a good produced abroad? Is it a valid conclusion to say that an economy that records an increase in its Gross Domestic Product due solely to increase in consumption of imported goods is indeed growing? Does it then follow that an economy can effectively import and consume its way to economic progress? These are some of the questions raised by GDP’s failure to distinguish trade of domestic products from import-completing trade. If GDP growth were to accurately measuregrowth in “domestic production”, then trade-based value-added services associated withthe consumption of imported goods ought to be excluded from GDPfigures thesame way values of imported goods are. Alternatively, these trade-based value-added services on imported commodities can at least be weighted less relative to those on locally made products when computing GDP.Otherwise, an increasing GDP could very well be a mere illusion of progress of the domestic economy. Feldstein, M.S. 2017. Underestimating the Real Growth of GDP, Personal Income and Productivity. NBER Working Paper No. 23306 JEL No. E01. Morten Jerven (2011). Poor Numbers: How We Are Misled by African Development Statistics and What to Do about It. Cornell Studies in Political Economy. Pigou A.C., 1932. The Economics of Welfare. London, Macmillan and co. 4th Edition. 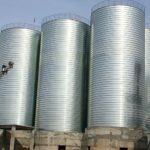 CIF means Cost, Insurance and Freight. 2015 was used in this analysis because the year represents the onset of the economy’s current recession and it helps to isolate the trade effects of local and imported outputs, as will be seen shortly.